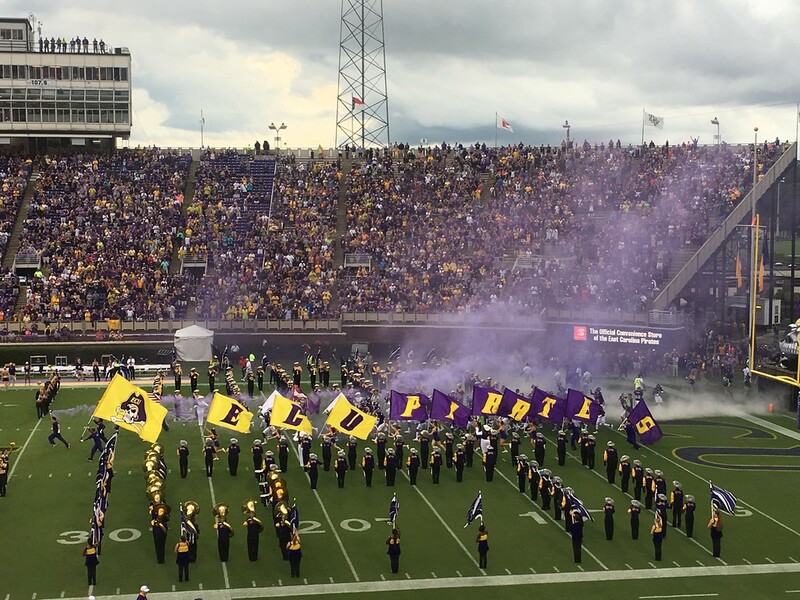 With only one more ECU Football game left for the season the game against Tulane would be the final one of the season for the entire group. 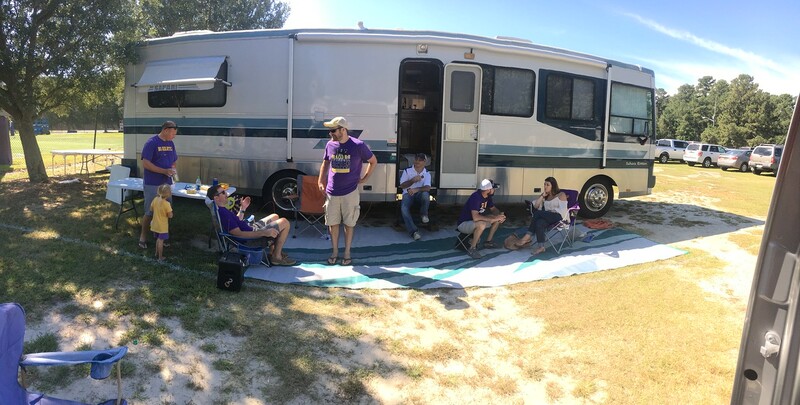 The night game made it so we could hang out and tailgate all afternoon and Jess joined me for the trip to Greenville. 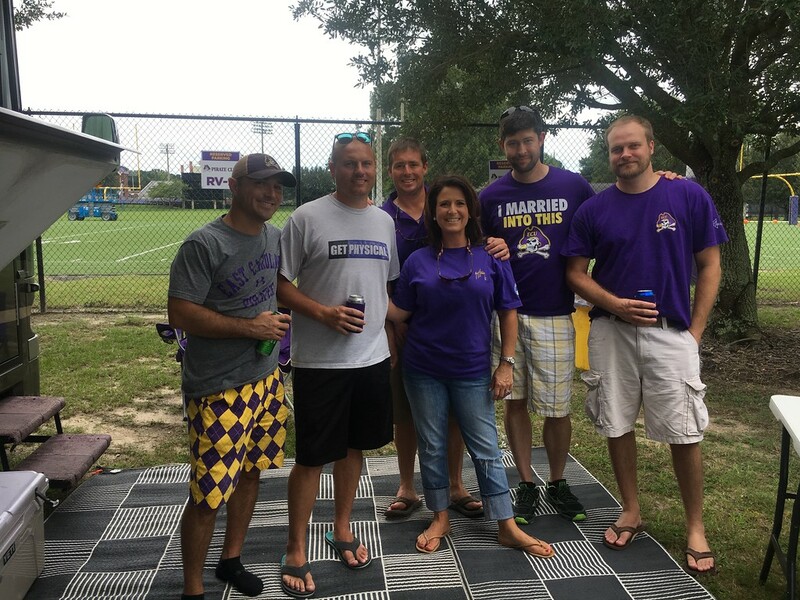 The main item on the menu was frogmore stew. 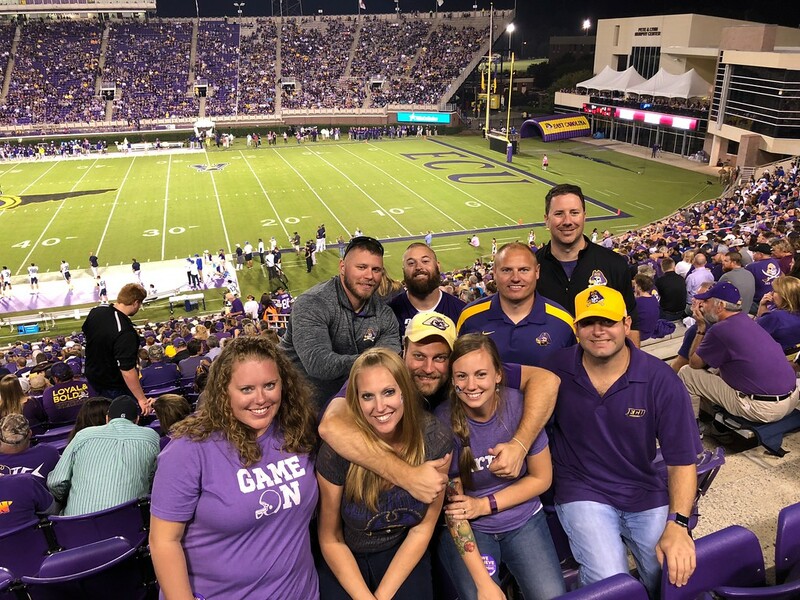 The game got interesting at the end as it went into overtime, but alas ECU wasn’t able to put points on the board and lost. 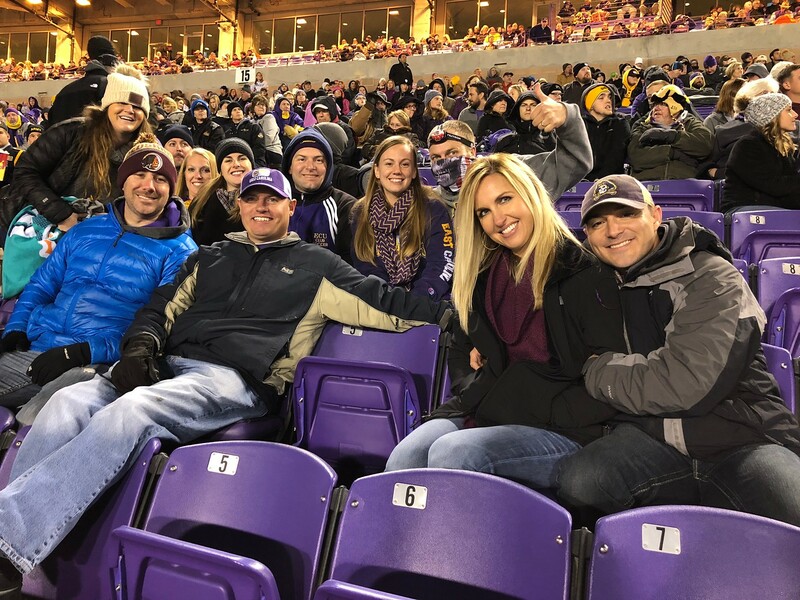 It was a great fall evening for watching football as Brigham Young University was in town to play the Pirates in football. 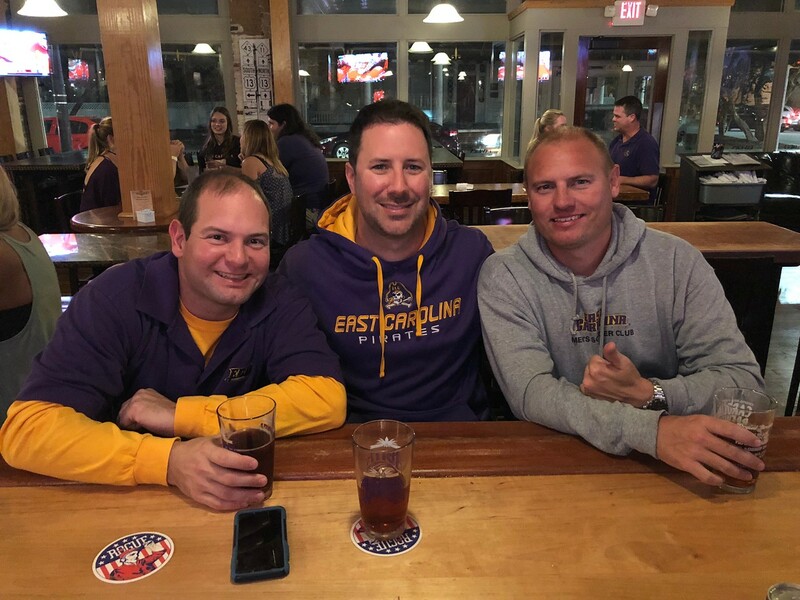 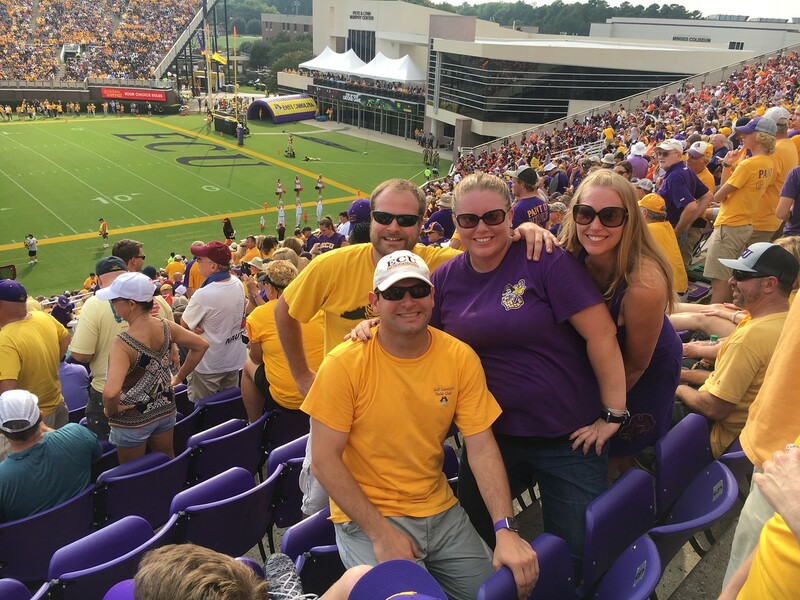 ECU won the late evening contest and some of us even made it downtown to celebrate. 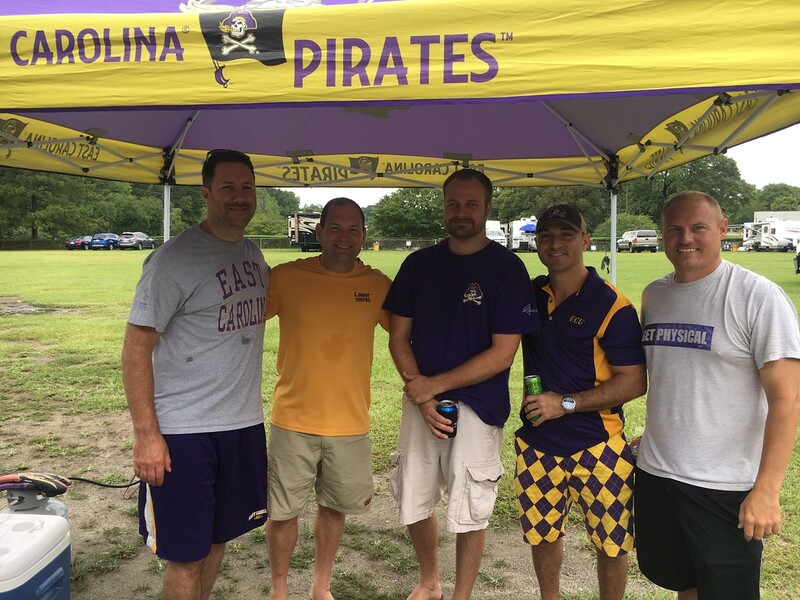 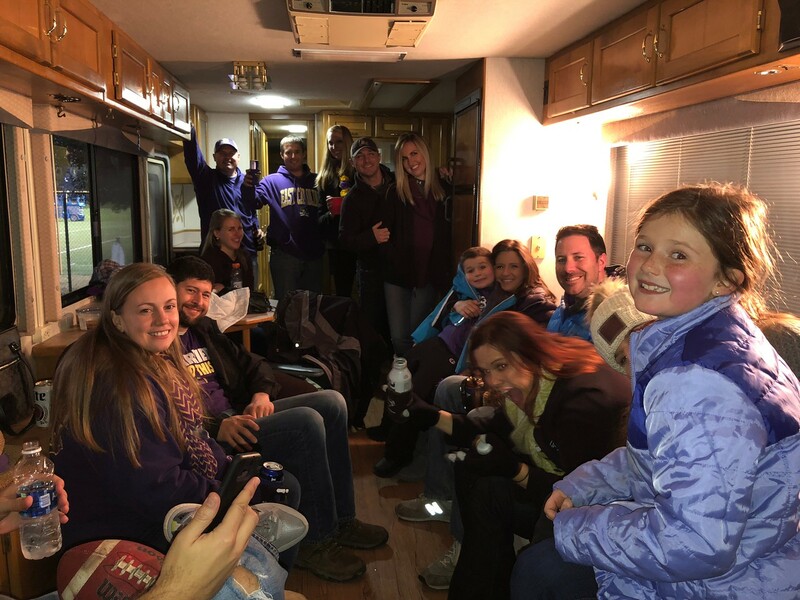 Another ECU tailgate – this time just the guys and the kids. 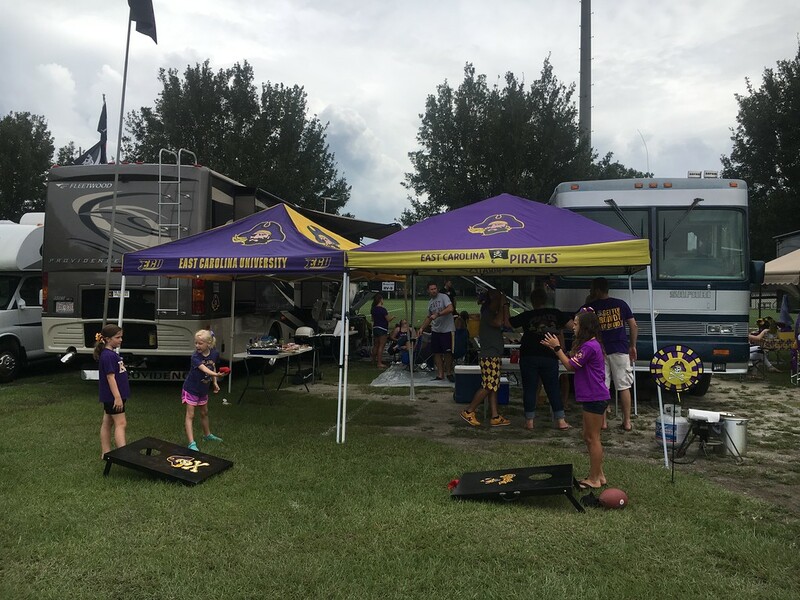 VT is always a tough game for the pirates – lucky for us it was a little later and gave us plenty of time to tailgate! 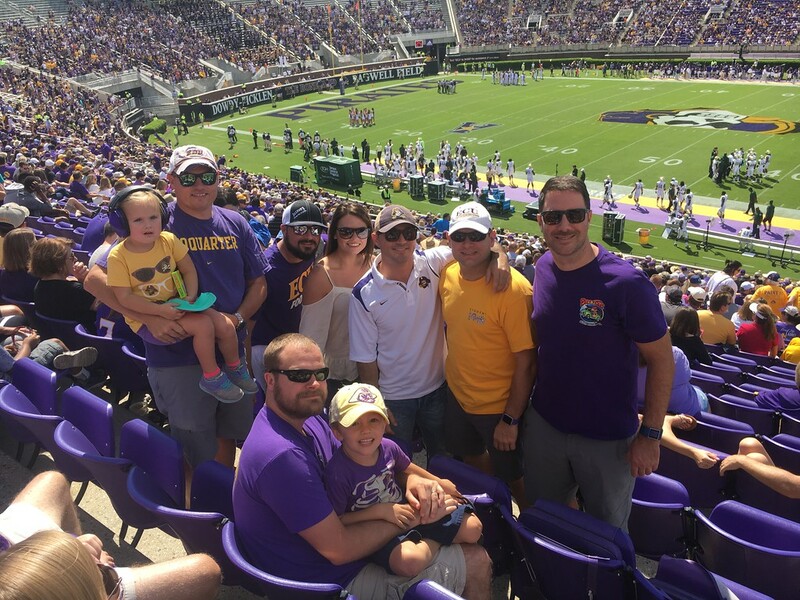 Glory Days Bruce Springsteen Born In the U.S.A. 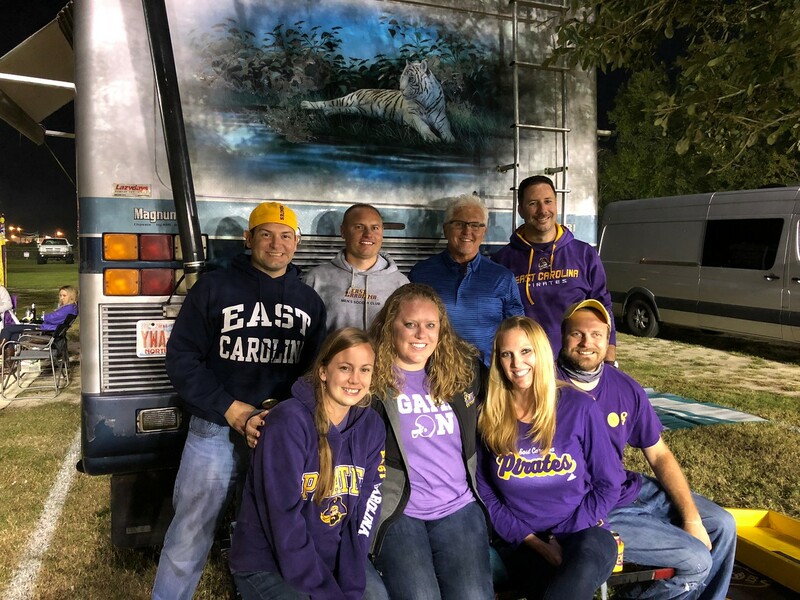 It was great to be back in Greenville for another season of ECU Football tailgating with the White Tiger crew. 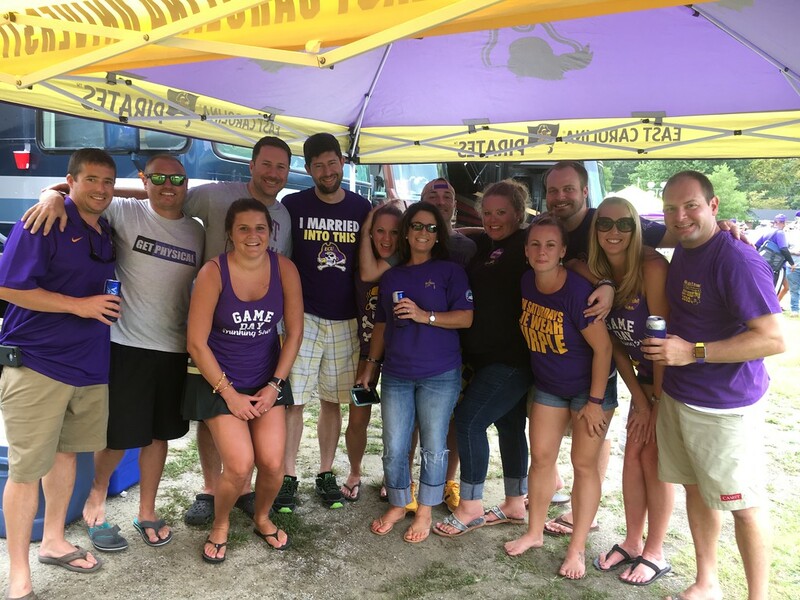 We had a great time tailgating all afternoon and catching up since last season. 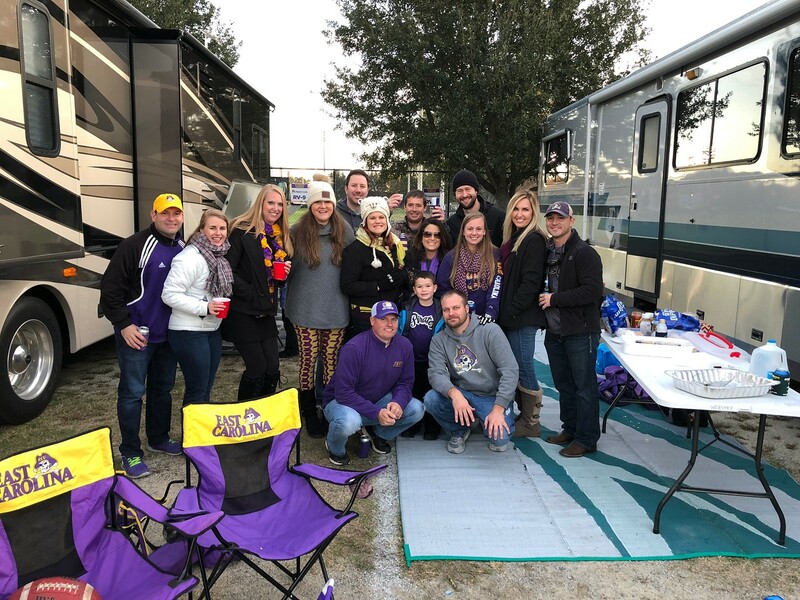 The game was another story – we lost – but it was still good to be back and see everyone.